Houghton Mifflin, 2007-11-01. Paperback. LikeNew. 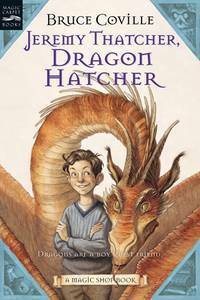 Jeremy Thatcher Dragon Hatcher is a novel by Bruce Coville and is part of the Magic Shop Books. It was first released in 1992 by Aladdin, but was rereleased in November 2007 by Harcourt.